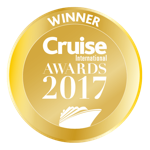 Award-winning Uniworld River Cruises - the world's ONLY genuine boutique river cruise line™- is the perfect choice for the discerning luxury traveller. 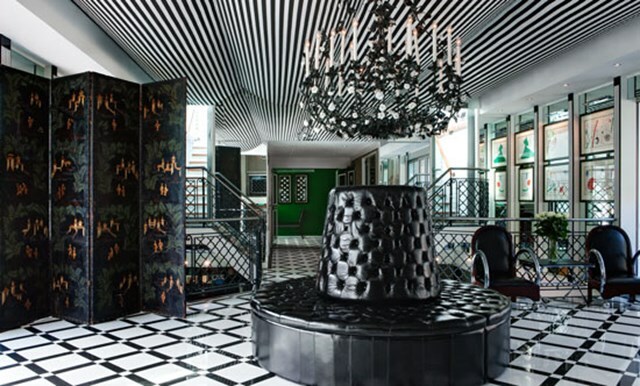 Whether this is your first river cruise or you’re a seasoned guest, Uniworld River Cruises’ beautifully appointed river cruise ships are each a work of art, intended to be as unique and inspiring as the destinations they visit. Spend one night in a stunning river view stateroom, and you will appreciate why travelling with Uniworld River Cruises is the best way to cruise the great waterways of the world. Each stateroom is complete with every comfort necessary, from the hand-crafted Savoir bed draped in 100% cotton, to the wide choice of pillow options. After a good night’s sleep, admire the stunning scenery from your picture window or French balcony. Meanwhile, your marble bathroom is stocked with L’Occitane toiletries, plush towels, and comfy robes. Other thoughtful touches include twice-daily housekeeping, evening turn-down service, and modern conveniences such as an “infotainment centre", which offers a variety of entertainment options, individual climate control and direct-dial telephone. 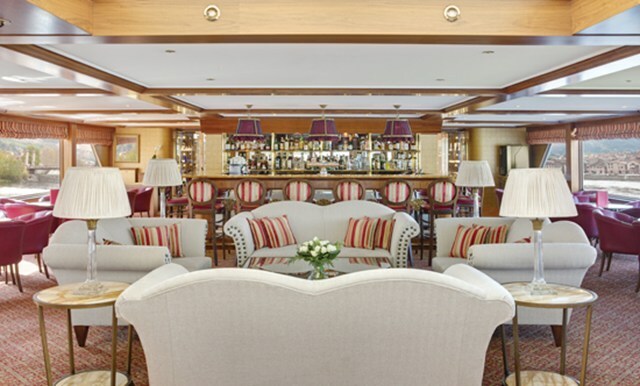 Included in your Uniworld River Cruises is luxurious boutique river view accommodation, award winning cuisine, unlimited drinks onboard - including dine wine, beer and soft drinks - escorted excursions, return flights from the UK, and gratuities. Your maître d’ will greet you by name with a warm, welcoming smile, in your flawlessly decorated restaurant. 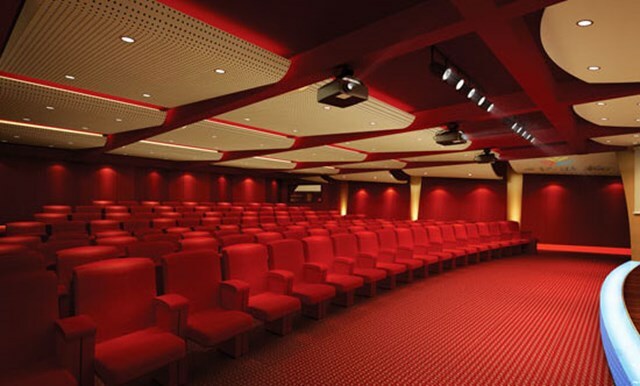 With a casual elegant dress code and open seating, you can sit wherever and with whomever you wish. As well as the stunning views you will enjoy in the privacy of your stateroom with Uniworld, you can also take in the scenic banks of the waterway in the relaxed, sociable bars and lounges aboard the ship. 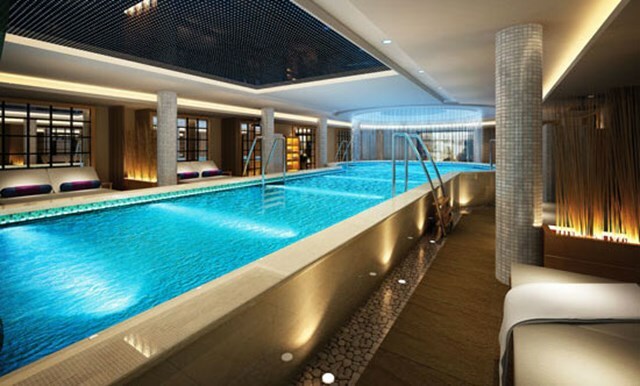 Alternatively, take a dip in the onboard pool and spa or gym area, and sip a drink while lounging in the sun on the sun deck in good company. For each immersive itinerary throughout the world, a variety of gifted local performers are invited onboard to display their cultures’ rich history, cuisine, arts, dances and music. Tied in beautifully with the destinations you cruise through each day, these enriching events help you to fully appreciate every destination of your Uniworld experience. Leading the way for luxury boutique river cruise, Uniworld are the first river cruise line to provide their guests with the digital newsstand PressReader, offering guests a choice of premium newspapers and magazines from around the world and ensuring they have all the latest desired news at their fingertips. Uniworld River Cruises offers more options for guests to personalise their cruise too, with inventive land excursions of different difficulty levels. 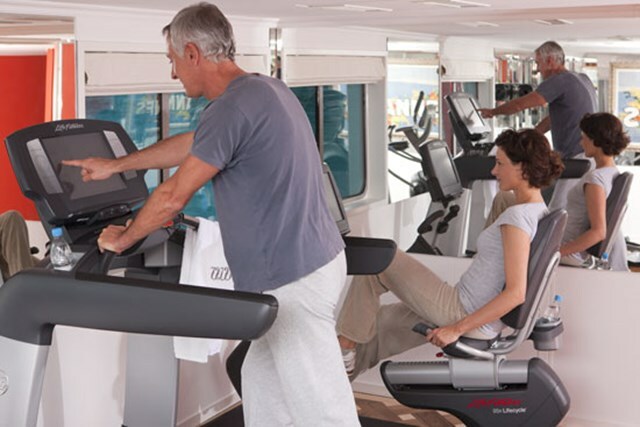 These include "Choice Is Yours", "Go Active", and "Gentle Walking" options. What’s more, there are even hire bikes aboard for those looking to wiz around that day’s destination! 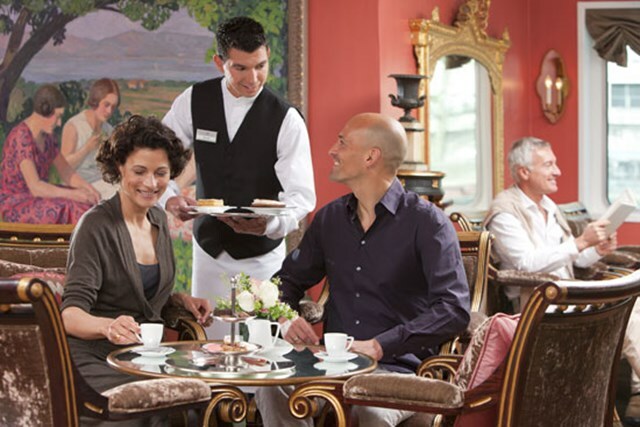 In addition to unsurpassed river cruising luxury and culinary excellence, with Uniworld you cruise safe in the knowledge that you’re contributing toward a sustainable and environmentally responsible experience. From no single-use plastics to gratuities for onboard staff and guides included, you know you will preserve these amazing destinations for future river cruises to come. •Enriching escorted tours with local guides, personal headset included. Wherever you are in the world, dining with Uniworld is a delightful mix of regional and western dishes. In addition, special dietary requirements are also well catered for, from vegan and vegetarian to allergies and health-conscious options. Usually incorporating a buffet-style breakfast and lunch sitting with a more formal dinner each evening, dining with Uniworld is a truly memorable experience that has been crafted for the most discerning of palettes. 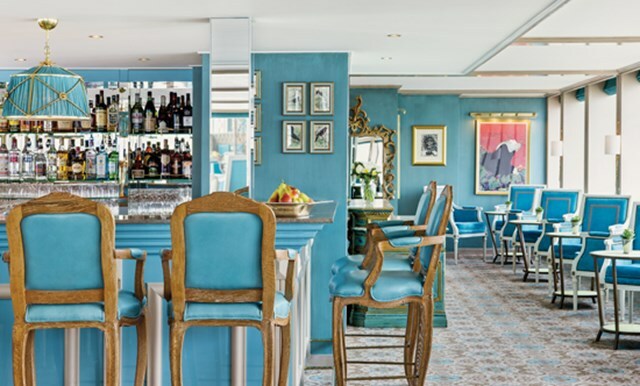 With every meal Uniworld River Cruises guests are being treated to an opulent selection of free craft and local beers, spirits, and distinctive wines chosen by their acclaimed sommeliers. From morning till night, you’ll find an everlasting procession of gastronomic delights. Using the finest and freshest local ingredients, your onboard chefs create meals bursting with flavour. Cruising along the world’s most fascinating and culturally rich rivers, there is a Uniworld river cruise for everyone. With destinations as varied as St Petersburg and Amsterdam, the Nile and the Mekong Rivers, whatever your interests and passions, you’ll find the ideal itinerary with a Uniworld river cruise. 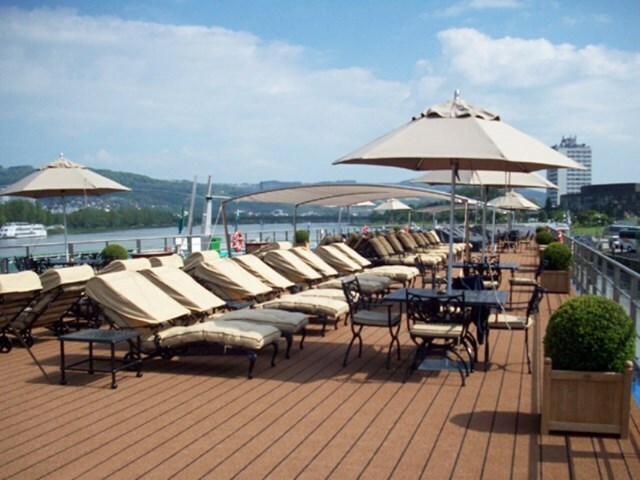 Uniworld River Cruise Line’s fleet of luxury river ships can be found on all the best river cruise destinations throughout Europe. Cruising along all the most iconic waterways, there’s a European river cruise for you with Uniworld, stopping off at a variety of fascinating ports along the way. The Danube is one of the most popular river cruises in the world thanks to the amazing range of countries and cultures you have access to via this romantic European waterway. Twisting its way through Germany, Austria, Slovakia, Hungary, Croatia, Serbia, Romania and Bulgaria, the Danube is a key to a dozen cultures. In addition, thanks to the Rhine-Danube Canal, you can incorporate both the Rhine and Danube into one grand European river cruise experience to the see all the delights of Europe’s waterways in one uninterrupted river cruise. The Rhine is synonymous with European river cruising thanks to the scenic banks, quaint villages and iconic cities you pass by and have the chance to visit. From lively Amsterdam to the Drosselgasse of Rudesheim, Heidelberg castle and mountainous Basel, a river cruise on the Rhine is wondrously varied. As well as the beautiful Rhine and Danube rivers, Europe has plenty more to offer when it comes to scenic waterways teaming with culture, history and renowned cuisines. 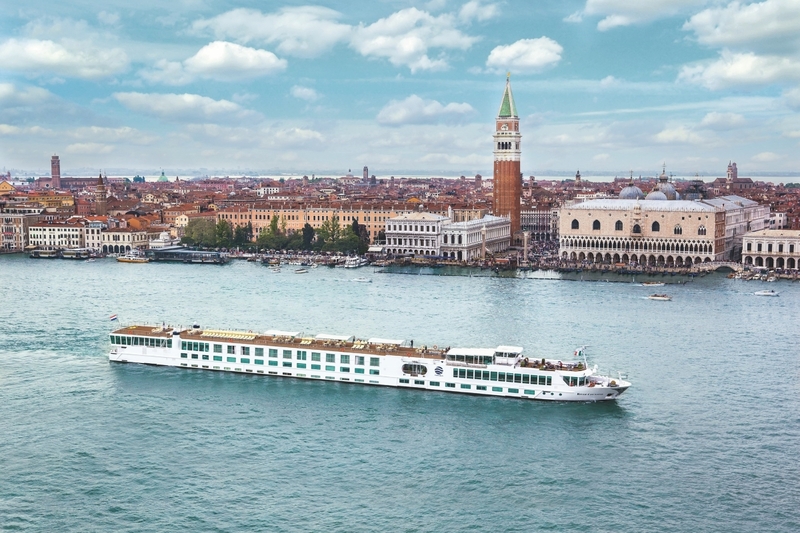 In Italy a river cruise tour along the Po River lets you see the delights of northern Italy including Milan, Venice, Verona and Bologna- a must of any Italian food and wine fan. 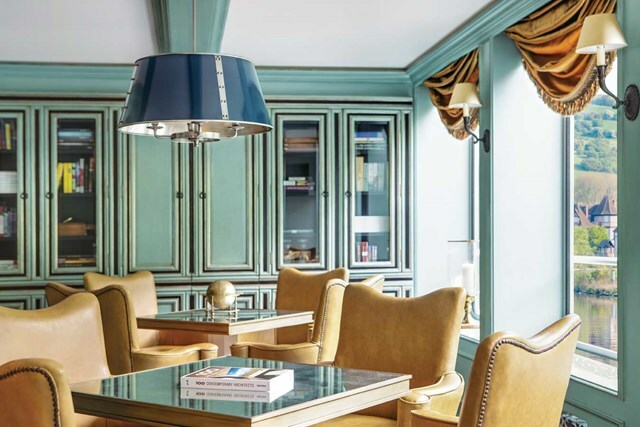 Meanwhile in France, a river cruise along the Rhone and Saone introduces you to idyllic Burgundy for the very best in French cuisine and sights including Avignon, Marseille and Lyon, while the Garonne and Dordogne boast Saint-Emillion, Bordeaux, and Bilaye. Finally, most famous of all, on a French river cruise along the grand Seine you will experience the historic Normandy beaches, the romance of Paris, grandeur of Versailles and medieval beauty of Rouen. 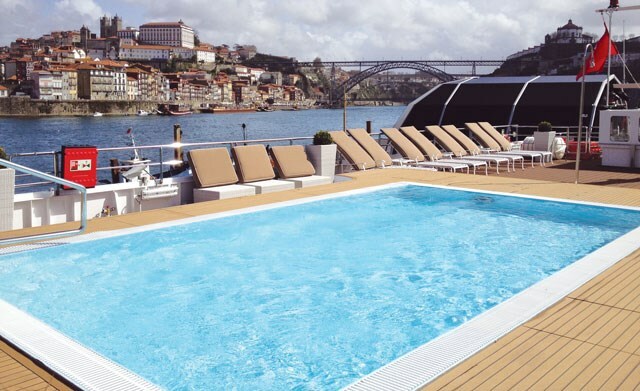 If sun and wine are your priorities, the Douro River in Portugal and Spain is another fantastic European river cruise option with Uniworld. Along the Douro you will sample only the best in European wines in quint rustic river ports before heading to the famous Spanish city of Salamanca. Depending on your package, you’ll also be able to take in Lisbon, Porto and Madrid along the way. Finally, in Russia, sailing along a variety of Russian waterways between beautiful St Petersburg and unrivalled Moscow, Uniworld guests have the chance to soak up Russian culture and history with fascinating stops in Mandrogi, Goritsy, Ulgich and the UNESCO world heritage site of Kizhi Island. As well as the best river cruises on Europe, Uniworld also boast fantastic river cruise itineraries to the heart of Asia. Along the impressive Mekong River, Uniworld guests get to take in the best of Cambodia and Vietnam, visiting remote villages, Ho Chi Minh, floating markets and the world-famous temple of Angkor Wat. Meanwhile in China, the Yangtze River takes Uniworld’s cruisers to such iconic destinations as the Great Wall of China, Beijing, Shanghai and Hong Kong. 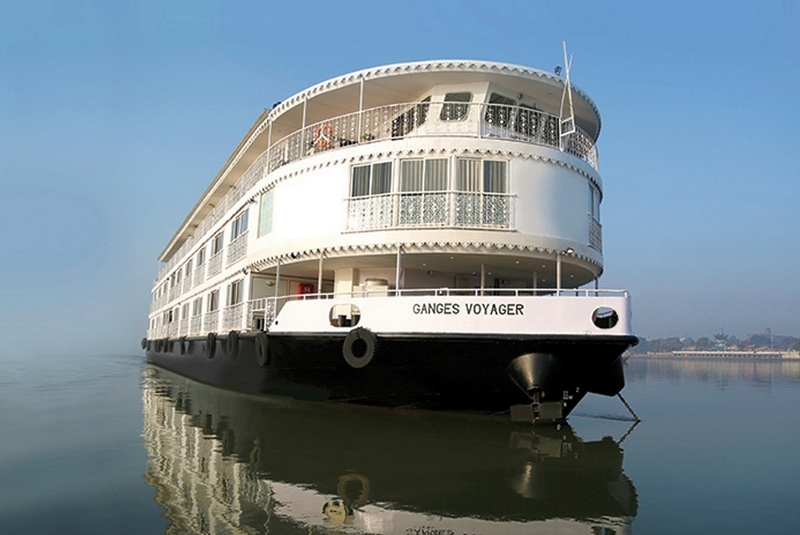 For those looking to navigate the world’s most sacred river, Uniworld also host the best river cruises down the Ganges. As well as taking in the unique sights of the Ganges River, Uniworld guests can take in the delights of New Delhi, Avaveli, Calcutta and Varanasi. In Egypt Uniworld take you back to follow the paths of the pharaohs along the enchanting Nile River. Stopping of in Cairo, Aswan and Luxor, as well as seeing the world-famous great pyramids and the sphinx, a Nile River cruise with Uniworld is surely the best way to see the treasures of Egypt and its long history. A must for any archaeology fans! With a variety of enriching river cruise itineraries aimed at guests with specific interests and passions, Uniworld is one of the best river cruise lines for those looking for a meaningful and immersive experience. 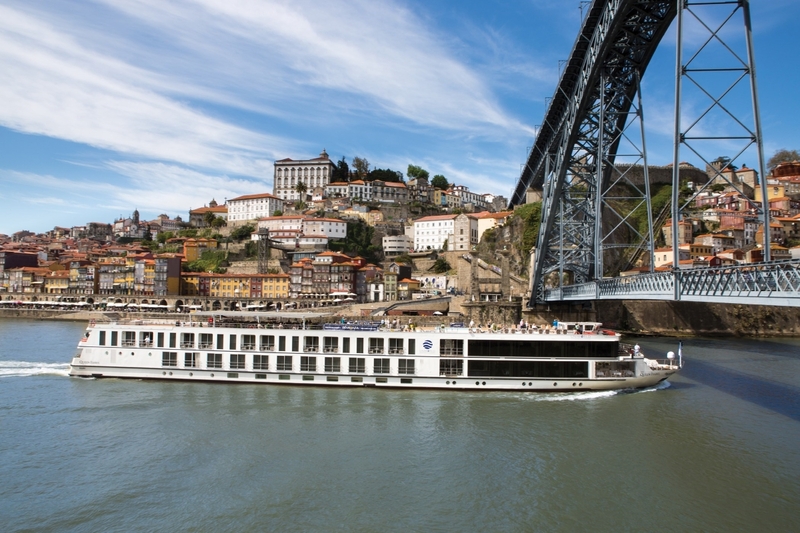 As well as amazing food and wine cruises in Europe, such as along the Rhine and Douro Rivers, guests can enjoy specialist art, history and even Jewish heritage tours of Europe, with themed lectures. Alternatively, seasonal sailings to take in Europe’s beautiful Christmas market cruises are a must, while many family-friendly tours are also hosted throughout the year. In addition, you can create a special cruise and stay river cruise package, of Europe, Asia or the Nile to see even more of the fascinating countries and cultures while you are there, either before or after your river cruise. 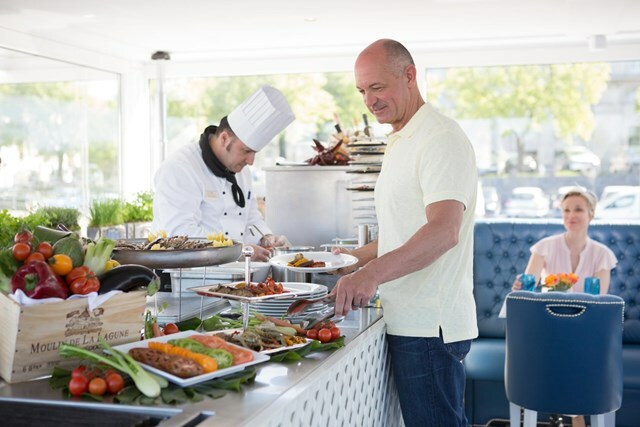 Traditionally seen as a river cruise line catering to over-45s, U by Uniworld brings a European river cruise experience aimed at 21-45-year-olds. 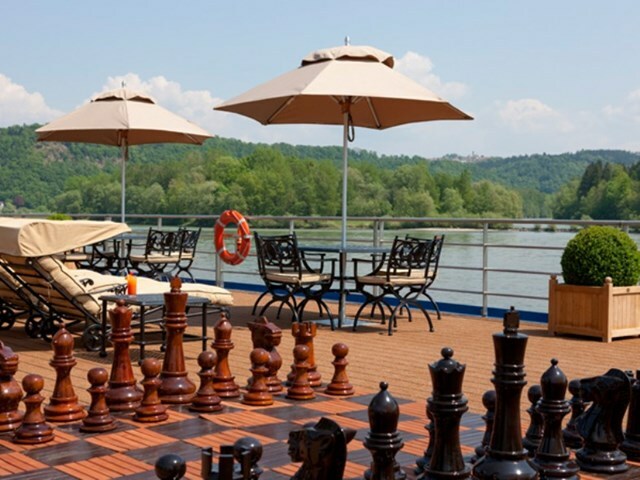 Onboard U by Uniworld’s two ships “The A” and “The B”, you will find a much different river cruise experience, but still Uniworld’s signature quality and service. 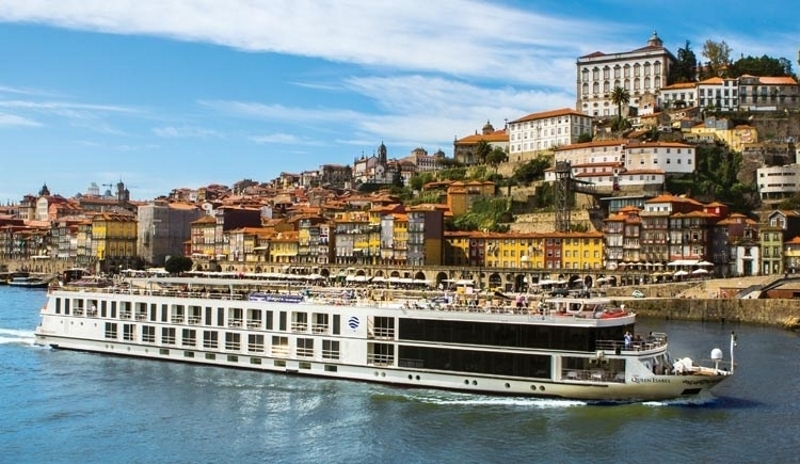 With the U by Uniworld brand, cruisers have the opportunity to travel to some fabulous European cities on a river ship, but without experiencing the features associated with traditional cruising. With adventurous and original excursions, DJs onboard, fitness and exercise classes and incredible food, cruisers can have the European holiday of a lifetime whilst still enjoying the comforts of a luxury cruise ship. With U by Uniworld, river cruisers get to explore the best of the Rhine and Danube, taking in the coolest cities in Europe, including Berlin, Amsterdam, Budapest and Prague among others. Along the way, you’ll get to immerse yourself in the local culture, check out the hotspots and get to know all the hidden gems when it comes to life, cuisine and special events with your local guides. Just back from our first river cruise on the Ambassador Amazing value Brilliant trip. Everyone from Captain to cabin attendants were truly wonderful. Martin Cruise director made the whole trip a memory we will not forget. Especial thanks to him. Food, drinks and excusions were first rate. Have not found a thing to critise. A very big thank you to all concerned. 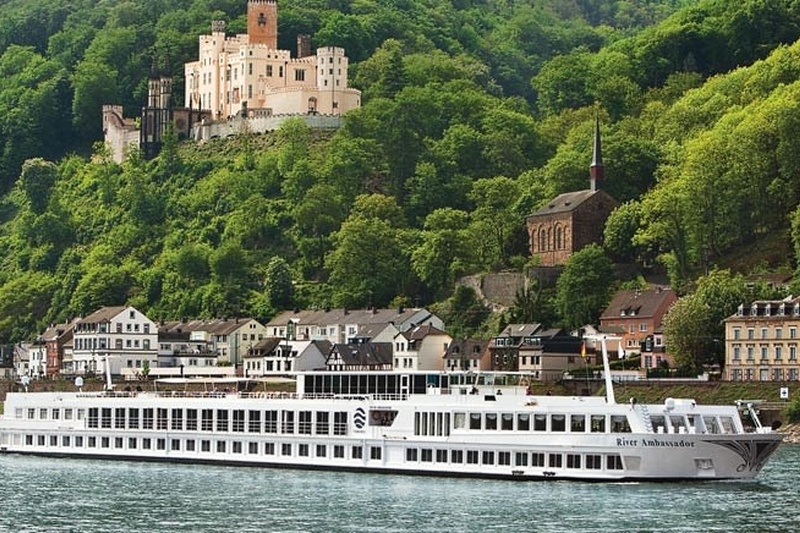 Just returned from our Castles on the Rhine cruise on SS Antionette. Our first cruise and to say everything was excellent would be an understatement. 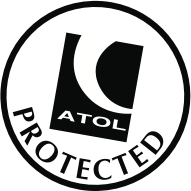 From first stepping on board until leaving to return home, nothing was too much trouble, every member of staff excelled at their job, the food was wonderful. 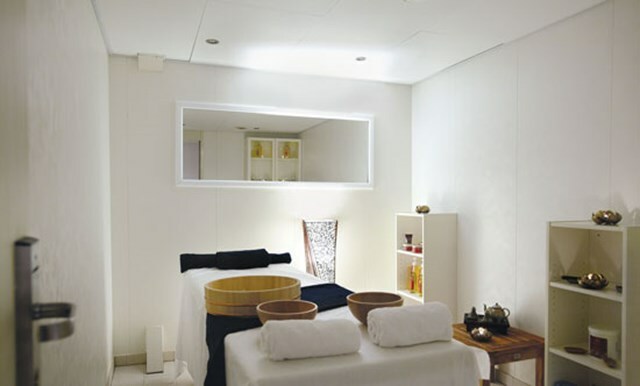 Peter the Wellness coach did a brilliant massage on my neck, and helped my husband with his shoulder pain, Chad our Cruise Director was fabulous at his job keeping us fully informed, all bar staff were so attentive keeping our glasses full. From the Captain to the Chefs, everything was perfect, we can't wait to arrange our next one. Thank you Uniworld and ALL the staff of the SS Antionette.